Saving the World One Nail at a Time: Rimmel London Stay Matte Liquid Mousse Foundation Sneak Peek! 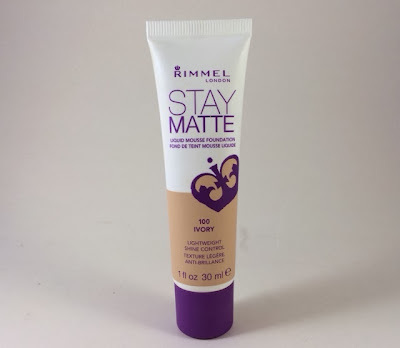 Rimmel London Stay Matte Liquid Mousse Foundation Sneak Peek! You may have heard of Influenster. If not, allow me to explain. Influenster is a website that you can sign up for by invite and plug in your social networking sites. The more klout you have on different sites, the more likely you are to qualify for influenster boxes of free products! I have a few more invites so if you would like to join let me know in the comments and mention your social sites, blogs etc. so I can check them out! This Influenster Voxbox is a sneak peek of a product that has yet to hit shelves. Rimmel London is releasing their Stay Matte Liquid Mousse Foundation this January. I received the shade Ivory 100 which is a perfect match. Rimmel London Stay Matte comes in a 1 fl oz bottle. The shade on the outside changes to show you the color inside. The purple top is actually matte and easy to grip. "A feather light, oil free formula with an airy mousse texture that won’t feel heavy or greasy. Delivers all day shine control and blends flawlessly for a natural looking matte finish. Minimizes the appearance of pores. The weight is over – finally, shine has met its matte." 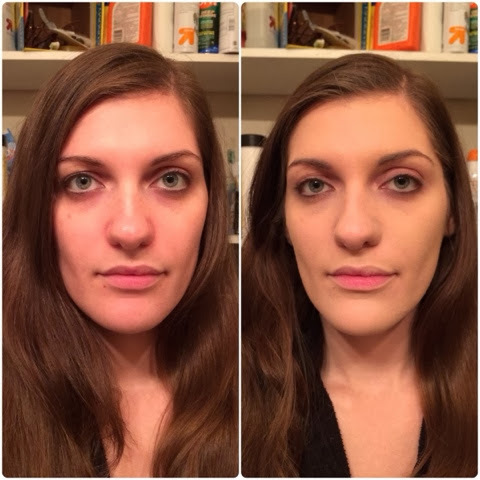 To test the foundation I took some before and after shots to show how effective it was. On the right I have no make up, zilch, I know it's horrifying. On the right I have a thin layer of Rimmel London Stay Matte over my face and some Urban Decay Primer Potion on my eye lids. To see how light and airy it is check out this Vine I made showing how easy it is to blend and how well it hides pores. How crazy is that transformation! All of the redness in my face is covered up except on my lips where I want some color. The circles under my eyes were covered as well as any blemishes or marks like the mark I have right below my lip or the one right above the apple of my cheek. Best of all the shiny T zone I have is completely mattified, no shine here! 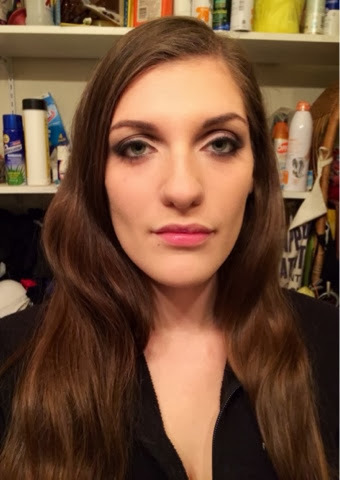 To complete the look I finished off my face with my makeup routine including a little blush, bronzer, some eyebrow shaping, lips, eyeshadow, mascara and eyeliner. What do you think? Will you be picking up Rimmel London Stay Matte Mousse Foundation when it drops this January or will you bow out? If you're not into Rimmel London what is your go to foundation? Wow, the coverage is flawless! Thanks for sharing these pictures with us. Looks like a wonderful product. We'd love to share our own product with you and save you some money on your shaving routine. We're a company called Dorco and we provide quality razors for 30-70% less than leading brands. See our prices for yourself and read what others think about our products at DorcoUSA.com. Thanks again for doing this review!